The best WordBrain hints app FREE! Get all first letters for all Word Brain solutions to every level in this awesome free app! If you are stuck in the game WordBrain! and you don't want to buy hints, we've got you covered! Check out our WordBrain hints FREE app and get every first letter to all words. It's easy! 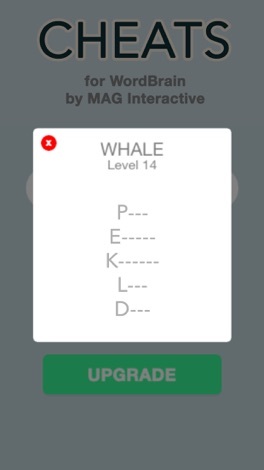 1) Download Hints for WordBrain! What are you waiting for? Get this free hints app for WordBrain now and access all the first letter solutions without buying hints! Neither this app nor Stack City, LLC is affiliated with WordBrain or MAG Interactive in any way. 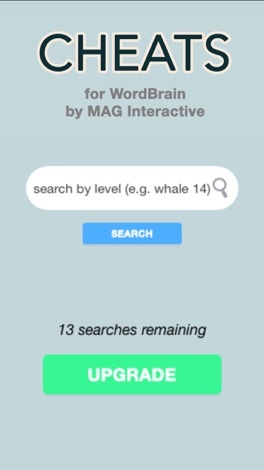 This is an unofficial cheat app and all intellectual property rights to the game WordBrain remain sole possession of MAG Interactive. All references to "WordBrain" in the app name, description, and keywords are solely for the purpose of identifying the game for potential users, as provided under the nominative use exception in U.S. Trademark Law. Launceston Church Grammar School, Skoolbag App for parent and student community. Download this App to be kept up to date with everything that is happening at LCGS. It features Events, News, School Enews Newsletters, Documents, and push notification alerts direct from the school.